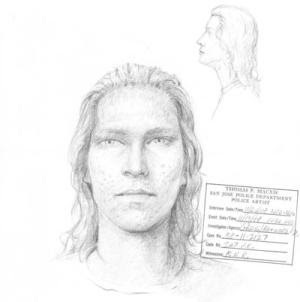 Okay, I know a lot of you already think I'm crazy, simply for holding onto this belief that my daughter, who was kidnapped over twenty years ago, is going to come home alive. But generally you are nice about it, so I guess that's okay. Others might think I'm crazy because I am a Christian, and I believe in God, and I not only talk to him, I listen to him. Well, I'm just going to tell you that whoever you are and whatever you believe (or don't), I love you and respect you, so I guess you will do the same for me. Of course in this very stressful time I have continued to talk to God, and to try to listen to him. I am hesitant to share any of this, because if it turns out to be wrong, I don't want to impugn God's reputation! So let's just establish from the beginning: if this turns out to be all wrong, it's not God's fault. It's just proof that I am crazy -- that I am a mother who wants her child home badly enough that she sees her return in everything. But if it turns out to be true, well you are just going to have to give God some credit. Anybody who has read much of anything I've written is probably familiar with Michaela's poem, which she wrote a week before she was kidnapped. She said she had written it about people who had been kidnapped and were being held captive. She referred to these people as being "behind the doors of steel." So here this psalm is referring to God setting people free from their captivity, and specifically referring to breaking down gates of bronze and cutting through the bars of iron -- so similar to what Michaela had referred to in her poem. And he shall strengthen your heart. You know, I'd never really understood why I closed with that verse. Of all the verses I might have closed with, it seemed to lack a certain power, or a certain applicability. But it was just there, and I just closed with it without really understanding it. But this morning I was filled with the meaning ... "that I would see the goodness of the Lord in the land of the living"!!! 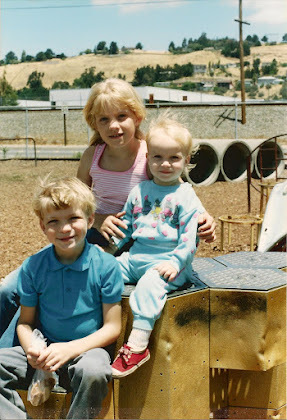 I had looked forward to the day I would see my daughter again in the next life. I had hoped I would see her again in this life, but I had not really believed it, until now. Yet this was the verse that was pretty much just given to me to close with. I hadn't researched, hadn't searched for a proper ending, it had just come to me. And what it promises is not good things in the life after this one, but in the land of the living. It was funny, also, that the memory of this verse would just come to me this morning. Those of you who might have followed my blogs on myspace through the years will also know that the Bible story of Jacob discovering that his son, Joseph, whom he had thought to be dead, was actually alive, had been driven home to me on a couple of occasions. I know that when you read the Bible, it's proper to pray for God to speak to you through it, but I honestly don't do that very often. On one occasion I did, and I prayed it pretty fervently. My Bible reading that day had been Genesis 45-46, where Jacob (whose name is also Israel) learns that his son is still alive. I'd finished reading and had put the Bible away before it suddenly struck me what I'd prayed, and what I'd read, and I said, "Could you be trying to tell me something, God?" Unbelievably enough, the exact same thing happened the next time I was reading in that part of the Bible. And I know you might think I should have known what I was about to read, but I swear to you I was totally unaware of it. Perhaps on a most subconscious level I knew, but even so, if my subconscious is picking up on that, that's something in itself. A number of years ago, Pastor David Silvey, who used to be at my church in San Leandro, Faith Fellowship, and is now at The House church in Mountain House, California, delivered a message from God to me. He said, This is what I want you to do Sharon, I want you to rise up from the ashes. I want you to begin to praise Me. For that day is coming. I already see people walking up to your door, I even see you falling down, crying. "Your day of mourning is over" saith the Lord. "Your day of mourning is over". All those questions about your daughter are about to be answered. This, like everything else, is something I have pondered without ever grasping the fact that its literal interpretation would mean that Michaela is alive and would be coming home. "Your day of mourning is over." God may be able to deliver some healing to the wounds of my daughter's loss in this world, but the mourning will never be over. There is only one thing that could end the mourning. So many things have whispered to me that Michaela is still alive, and yet I have not heard them. I have wondered, guessed, but for so long I have bought into the probabilities that a child missing for so long is not likely to come home. I have hoped, I have wondered, but I have not really believed. It is just too good to be true. Am I repeating myself here? Perhaps I am. I apologize for that. But if you have got to this point in reading this blog, I just want to tell you thank you for sharing my hope with me. And by the way, for those who aren't accustomed to listening for what God has to say, when you study the Bible of course you want to take the context of a verse into account. But God can well take them out of context in order to give you a message. The intervening verses in Psalm 107 between the sections I quoted refer to the imprisonment referred to as being a result of having rebelled against the words of God. I guarantee you that what happened to Michaela was not the result of punishment by God, not for her and not for me. 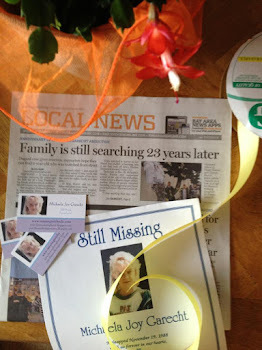 If you have any questions about that, please read "My Journey Through Sorrow" on my website at www.missingmichaela.com. 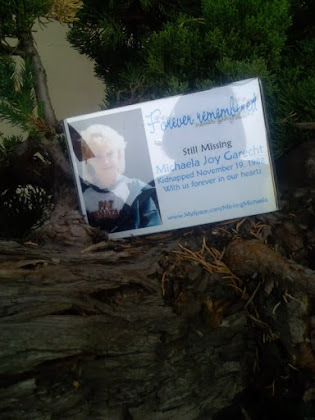 Your words were digging in my soul and mind, and made me think that your faith in God will bring Michaela back to you. I pray for you and your family. I'm amazed in your faith in God even after what has happened to you and your daughter. I hope that you will get Michaela back one day (soon). I just wanted to say hi and let you know that your message is heard around the world. I've started reading your blog everyday. When I read what you have wrote, pouring your heart out, hoping that you finally get your daughter back desperately makes me want to help! but sadly there is nothing I can do really. But I'll always offer my support. After reading about your difficult time trying to get pregnant and then actually having Michaela and then for her to be taken away from you is something of a cruel deed. It is so inspiring to see that you still hold out hope for your daughter despite people trying to bring you down by saying "Don't get your hopes up". You should be hopeful and positive, even after all these years. You are fully aware of either turnout and you dont ignore either. if you arent positive then this will consume you forever (even more so than it does). I really do hope you find out what happened to your daughter so you can find some inner peace. You listen to God's word and see hope. Because you believe in His truth. Even if your interpretation is wrong ... it still serves the purpose of keeping you going and doing good in this world. If Michaela is here or if she's with the angels already ... you trusting in God's goodness and plan is what you are meant to do. My heart goes out to you and your family. I pray that they find Michaela one day. 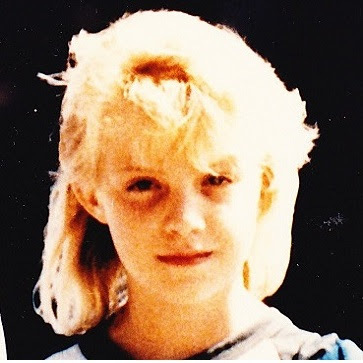 I was 15, when Michaela was kidnapped. And, I lived at the end of your block. I knew Michaela and her friend that was at the store with her that day. You've always been in the thoughts and prayers of my family. Your faith is such an inspiration! And, NO, I don't think you are crazy at all for trying to listen to God! I am a Christian, too and I know that the Lord speaks to me all of the time. Through His Word, through His Prophets, through His still small voice, through dreams and visions. I know with all of my heart that Abba Father is looking down at his courageous daughter, and smiling broadly at the depths of your faith, which is more precious than gold to Him. It brings tears to my eyes, because looking at your faith - even from this distance - I see how incredibly beautiful faith is! I wanted to say that, when I came here today, my own faith was shaking about some things. After reading your writing today, I am thinking it is time for me to pull aside and try to listen to God about the things that have set my head spinning. As you must know, sometimes our emotions get in the way of our listening. You are an inspiration to me, beyond words! 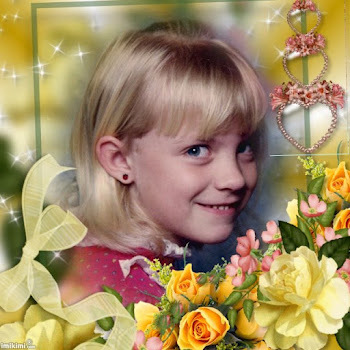 I have had hope since the first day I heard of this case, because of Michaela's own dream, which I felt had to be from God. It struck me that the people in the dream were held captive, not killed. I still remember Michaela's story so clearly. 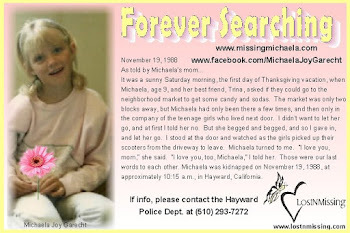 I remember Christmas caroling with my church group at your home just after Michaela went missing. Your faith in the Lord is so inspiring. As I say this, I find myself repeating what so many others have already said to you. I hope that you find encouragement in knowing you are such an amazing example of a Godly woman. It reminds me of something a speaker at my church said recently: "You share with others your story so that they want to give their lives to Christ. If you are only walking halfway with the Lord, soon you will become a reason that people don't want to give their lives to Christ." I think that when people read your story, they will realize that you even though you've endured such a tremendous hardship, you still have such a positive outlook--they too can press on and have hope in the Lord Jesus Christ. I just want you to know that I, too share your hope that Michaela will return to you safely. Oh i so hope that you and your child will be together some time. 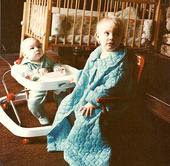 i have read your blog and everything, and found myself in tears after, its so unfair what happend to you. I know it sounds silly, but i myself, a 15 year old norwegian optemistic atheist wish i could help you, bring your child home. even though i am on the other side of the planet. And you are a hero, that are trying to prevent this to other families. i truly of my entire heart hope that you will be a family without a missing puzzle aigan. But remember one thing, if Michaela once return, do not thank an imaginary friend that does not exist(god) for it. Thank YOURSELF! for having hold on all these years! do not give credit for somthing that we have no proof for. Finding myself as an Atheist, and a person that cannot give respect for a religion that is fantasy and kills people, i have discovered, that the voice people here inside of them, is simply themself. Trust me, remember that we need no god in order to survie, we carry that gift inside us allready, the thing called Love, somthing your god does not even know(seriosly) Love is the strongest thing on earth. and it exist al around us! if their is anything that will carry your child home, it is love! and not some brainwashing religion. Please Remember. Thank you for sharing your faith. I am so glad you have God as your comforter. I hope that the current investigations lead to your beautiful Michaela - alive! I wouldn't be surprised if other creeps are holding former children captive. You are such a loving mom; I can see it from all you share on your website. I pray that the Lord will keep you strong and full of faith! You are an amazing mom and keep believing that your beautiful Michaela will be found. Continue to trust God with all your heart. God, is the God of the impossible! He can do anything, heal anybody, and everything that you have gone through and are going through, He is going through with you. I know you know that. I love you, and God bless you. Anyone who thinks you are crazy for believing and having hope that your daughter will be found they themselves are the crazy ones. My prayers are with you and your family. I admire your Faith and hope that it will continue to get through this nighmare. I was about 16 when she dissapeared and still remember seeing her story in the news. It scared me but helped me to become more aware. As a mother of 3 daughters I can't even imagine what it must feel like to lose a child. But I know that GOd is great and we will continue to pray for Michaela's safe return. May God Bless you and continue to give you strenght.